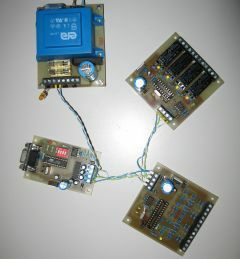 This Homebus project can be used to sense and control various paramaters throughout the house. 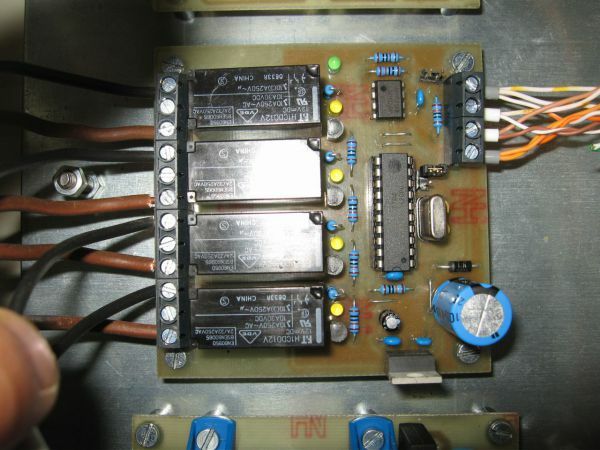 In the beginning of this project, a friend of mine asked if I could develop a flexible control system for his solar-powered central heating system. Since there were a lot of unknown parameters, I decided to setup the control system as flexible as possible. 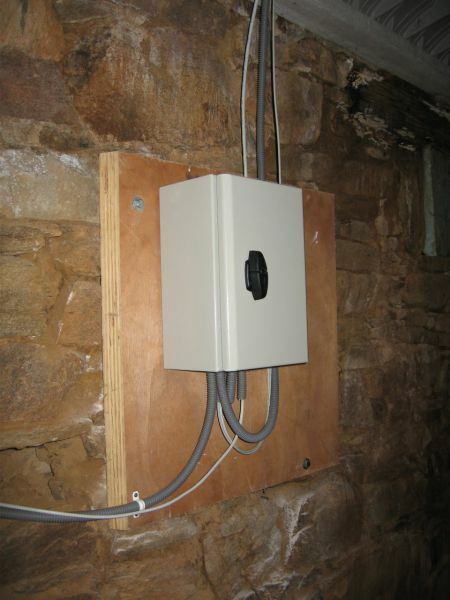 The heating system used a few black-painted and well-isolated copper plates on which copper tubes where soldered. Through these tubes, water was flowing to transport the heat captured by these plates. The heated water was then pumped into a well-isolated 8000-liter(!) storage tank. This tank acts as a thermal reservoir when no heat from the sun is available during the night. From this tank, the heated water is pumped into a few seperate heat coils built into the floor of a few rooms. 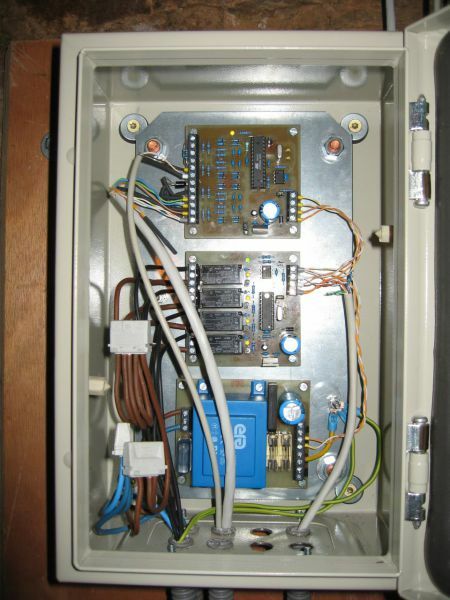 The system has to measure the outside temperature, the tank temperature, the temperature of the solar panels and the temperature of each room. From these measured temperatures, the system controls 4 pumps. 1 pump is used to pump the water from the tank into the solar panels and the other pumps are used to pump the water into the 3 seperate rooms. 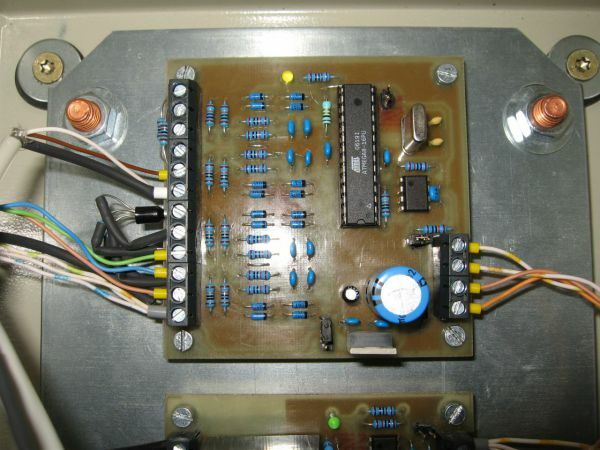 The system is controlled by an old laptop, which is connected to the various analog-to-digital- and relay-boards through a serial RS485 bus. This setup allows us to change the control-scheme very easily, offers an easy-to-use GUI to change the various control parameters of the system and also allows to store the measured temperatures for further analysis. A RS485 bus is chosen as the bus topology. It is able to transport data reliably over huge distances (> 1km) and is very immune to electrical noise. No wonder it is also used in many industrial applications. The system is now running for over more than 3 years without any problems.